Jump to the main part of this post. The opening round of the 2012 Tournament of Pizza -- sponsored by Sunmark Federal Credit Union -- rounds third with a visit to the Collar City. DeFazio's has been the tournament runner-up two years in a row -- is this year it finally takes the title? It'll have to get through Round 1 first. How this year's brackets were selected. 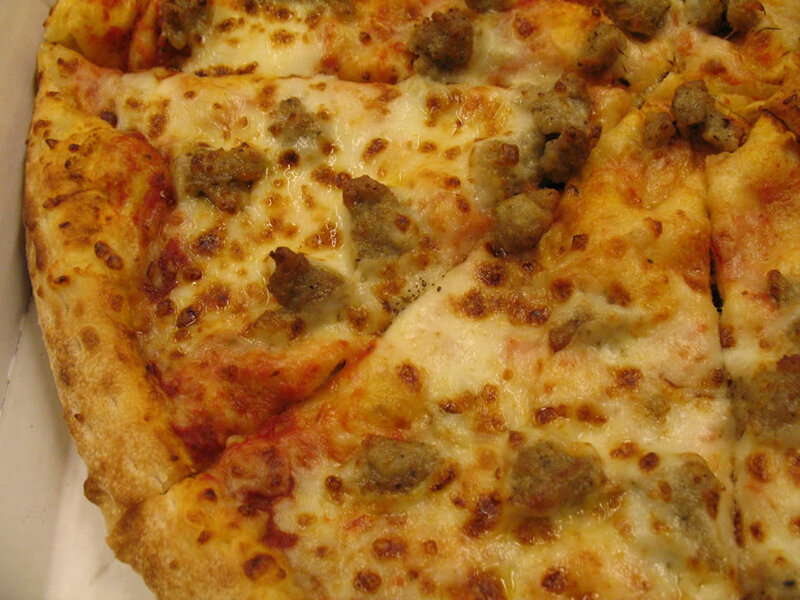 If you'd like to get a closer look at the pizzas, there are large-format closeups above -- scroll all the way up. The returning finalist shows up with a big score -- the highest so far in the opening round. DeFazio's crust was praised for its "nice fluff" and best-of-the-bracket flavor (the judges did note that it was a bit overdone in spots). Its sauce was described as "bright and lemony" with "soft onion and herb" flavor and "great" garlic (though one dissenting judge declared it "bland"). The judges weren't necessarily fans of the sausage -- it scored points for a texture ("tender, crusty") but lost points for being "bland." DeFazio's cheese was a universal winner, though -- one judge called it "buttery, flavorful" and another said it was "great." The judges noted the slice's over heft -- "very substantial." And one concluded: "a great slice of pizza." A very solid performance from the 4th Street shop in its return to the TOP. The judges called its crust "yeasty," "chewy," and "sweet." They were a little less enthusiastic about the sauce, noting its sweet, concentrated tomato flavor. The judges liked the sliced sausage -- "intense and flavorful," "good spice flavor" -- but weren't so happy about the cheese, which was described as "average" and a bit "rubbery." 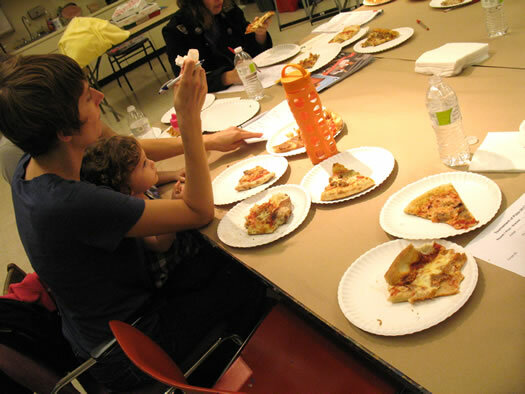 The pizza scored well overall, but one judge noted that more seasoning and herbs could have lifted the pie higher. This was the first time in the TOP for Bacchus -- it was voted in this year with the highest (by a lot) crowd vote total. And it did OK. But the crust on this pizza really held it back. Noted one judge: "End crust is beautiful, but the bottom looks raw." Another judge called it "tough and limp," and yet another said it was "chewy and raw tasting." The sauce also didn't light up the judges. Bacchus fared better on the toppings. The judges praised the sausage's texture -- "good char" -- and described it as "pockets of umami." Many of the judges concluded that the pizza showed promise, it just might not have fared well as takeout. And the mystery entry in this bracket is... Papa John's. It is often regarded as one of the better chain pizzas. But its score in this match didn't lend any evidence to that idea. Judges called the crust "fluffy," and "chewy, like gum" -- also: "kind of bland." They described the sauce as "too sweet" with "too much seasoning" The toppings didn't score points, either -- the cheese was described as "pasty" and the sausage "mushy" with an "off-putting" sage flavor. One judged called it "Thanksgiving pizza, with all that sage in the meat." Concluded another: "obviously inferior to the others." DeFazio's and I Love advance. They'll face each other in Round 2. 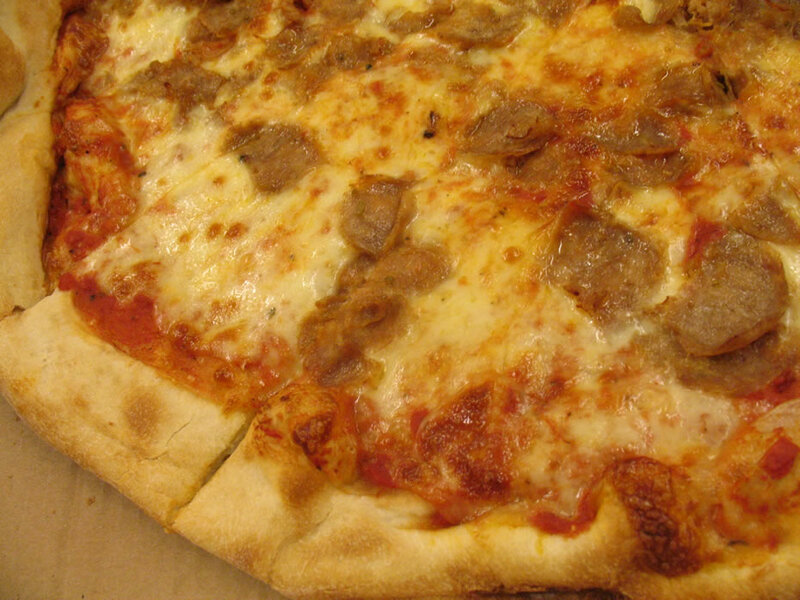 Tomorrow: the opening round of the Tournament of Pizza concludes with the Albany bracket. 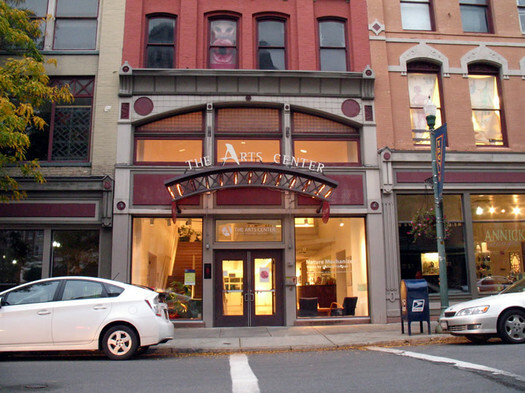 Many thanks to the Arts Center of the Capital Region for letting us taste pizza in one of its studios. It was a great space. The 2012 Tournament of Pizza is sponsored by Sunmark Federal Credit Union. I usually have better luck at Bacchus, maybe it doesn't travel and sit well. But DeFazio's is always a shoo-in, and I Love is a worthy competitor. And as to Papa John's, why would you do that to yourselves? I love that you're including the chains in the TOP this year. I only wish the people who swear by chain pizza were reading. Red Front in Troy also makes a great square pie. I LOVE DeFazio's pizza - not to mention their BYOB status. How can you go wrong for a perfect date? They also make some salads that, especially for the price, are huge and delicious. Makes for plenty of leftovers. Yeah, Bacchus pizza doesn't travel well. The crust is light and crispy when you consume it in-house. It isn't take out pizza and I'm glad they don't deliver (it would be ruined). Papa John's pizza is only good when you dip it in those sauce cups they give out. As it turns out, mediocre pizza dipped in almost pure fat tastes delicious... if you like the taste of almost pure fat, as most people do. Nice to see some quality pizza advance to the next round. Bummer about Bacchus, but no surprise to any long-time TOP reader who knows that certain pizzas are best consumed in the restaurant (and preferably with a beer). I think Bacchus is a huge disapointment. They have a phenomenal oven and consequently a wonderful atmosphere; perfect for pizza making and perfect for consumption. But considering the oven, their crust is BAD. I've only eaten it straight out of the oven, so its not a transport issue, although I think any pizza should survive a car ride or its not worth the flour its made with - it is PIZZA afterall, it should be able to take a trip home. Any good pizzaiolo would kill to have an oven like that. I've given them time to perfect their craft and learn the oven, but they haven't. It's like someone with a $75,000 Steinway piano that never learns to play well. It may be cool to see but it's not impressive to hear..
same with Bacchus..Its impressive to see but dissapointing to eat. With a location and oven like that if the pizza was any good at all they'd be packed every night of the week. It's been empty every time Ive gone....and will continue to be. @NJ Pizza Guy--sorry you're cranky. NJPizza guy, I'm in Bacchus often and can tell you that it's not always empty. 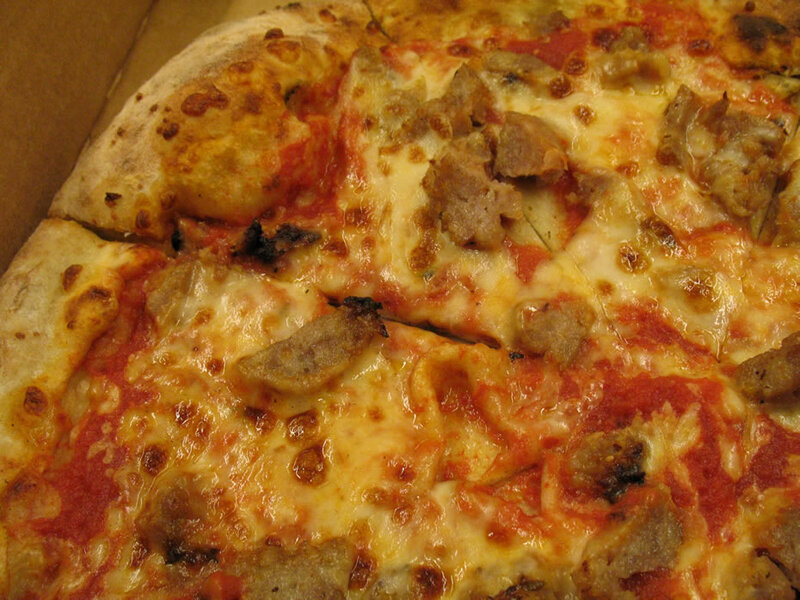 Not everyone likes this style of pizza; it's not like what you get at most other pizza places. 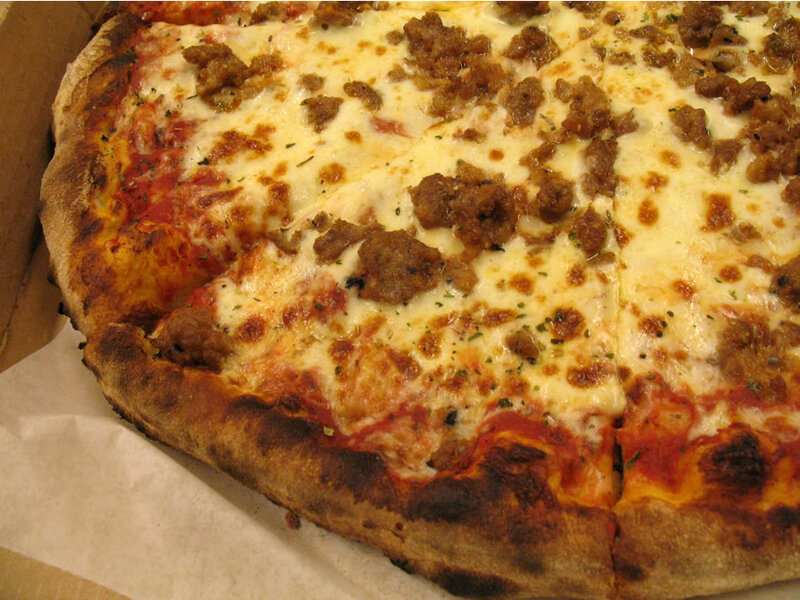 The ingredients are fresh and simple, no trans fats and sugary sauce (like most pizza.) That's why I, and many other people, like it!! I wonder who you are and why you're so eager to tear down a small independent neighborhood business. I say take your cranky attitude and go back to Jersey shore! Say hi to Snookie. I'm bummed about Bacchus. They're the closest place to the tasting site, a crust that wasn't done on the bottom was just...a bad pizza. No excuse, and it definitely hurt them in the judging. I've eaten their pizza there and enjoyed it, it seemed to go downhill for a bit but with all those fans coming out of the woodwork to nominate them to the TOP I was hoping they were getting it together. I was really rooting for them, and will probably give them a try, but an undercooked pizza would not get a good score on my table either. Glad to see DeFazio's came out on top. The judges' comment that the crust was "a bit overdone in spots" should have been a tip off that it was DeFazio's. That's part of why I love their pie. @Bridget, again, not undercooked, not meant to sit in a cardboard box for who knows how long. These restaurant blogs are BS. Thanks to our defenders above! Megan is right, our pizza "should be eaten on site, fresh from the oven, like a souffle!" That pretty well sums up the problem at the Arts Center. There are some wood-fired pizza places with crust like ours that won't even do take-out for this reason. We started out with that policy, but neighbors protested. When it's fresh, our crust is light and airy. After it sits around it becomes wet and heavy because it absorbs moisture from the toppings. Not everyone likes our pizza, but a lot of people do.